The U.S. energy revolution remains a feat to behold. Benefits to the economy, consumers and manufacturing and a boost to America’s stature in the world and our national security. 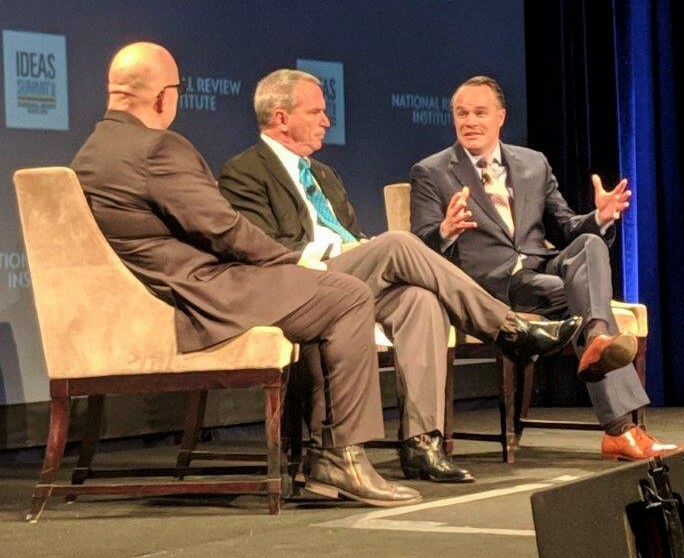 API President and CEO Mike Sommers touched on a number of these points during a conversation at the National Review Institute’s 2019 Ideas Summit. The energy revolution needs sound policy approaches to be sustained and to grow. Sommers said he’s focused on pipeline permitting and obstacles to critical infrastructure – privately financed projects that are essential for Americans in all parts of the country to benefit from U.S. energy abundance. American energy also needs trade policies that support, not hinder, natural gas oil development and delivery. Sommers said the administration’s Section 232 tariffs on imported steel and other trade restrictions negatively impact industry, the U.S. economy and consumers.